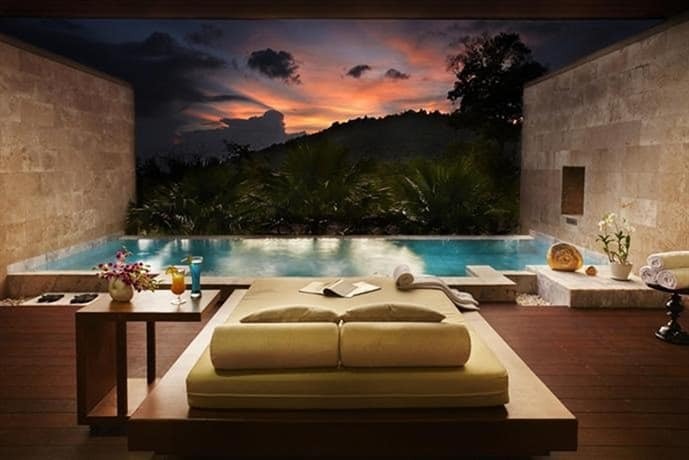 Book a Sensational Getaway at Avista Hideaway Resort & Spa Phuket! 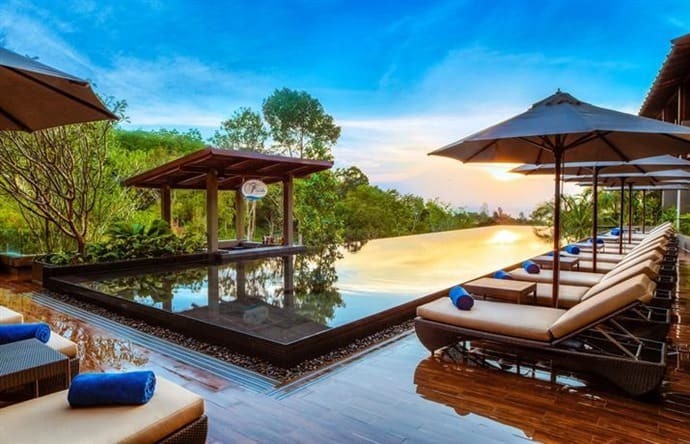 Avista Hideaway Resort and Spa Phuket sits on the hilltop of Patong where guests can enjoy two contrasting but magnificent views of the surrounding environment. Thanks to the strategic location of the hotel, you will be able to watch the beautiful island of Phuket from the rooftop bar. What a better position to admire the beautiful rainforest on one side and the stunning Andaman Sea on the opposite side, than from a 5 star hotel located high on the hilltop? Whether you choose to go to the rooftop bar or one of the restaurants at the Avista Hideaway Resort and Spa, they all offer magnificent views of the surrounding sea and landscape. On this review, you will discover why this 5 star hotel received the World Luxury Awards in all categories, including hotel, restaurant and spa. Let’s get started on Avista Hideaway review. 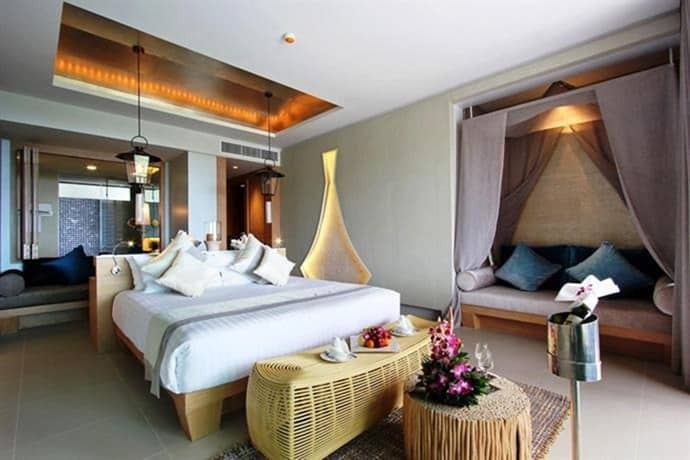 Save up to 74% off your stay at Avista Hideaway Resort and Spa Phuket with package deals from Luxury Escapes. 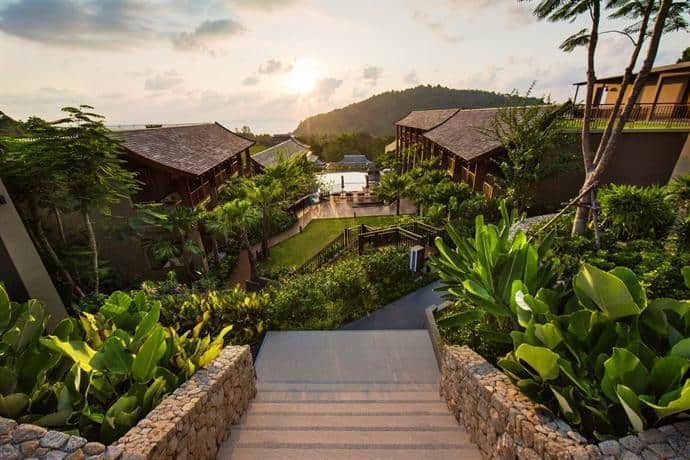 Spend 8 nights in an Exclusive Room with a balcony onto a tropical forest with partial sea views at Avista Hideaway Resort and Spa Phuket. You will enjoy daily buffet breakfasts, a multi course dinner, six 60 min signature Thai massage, 15% off relaxing treatments in the resorts Aqua Spa, 10% discounts in resort restaurants and bars, return airport transfers and more. Though be quick, this deal ends 7th November 2017. 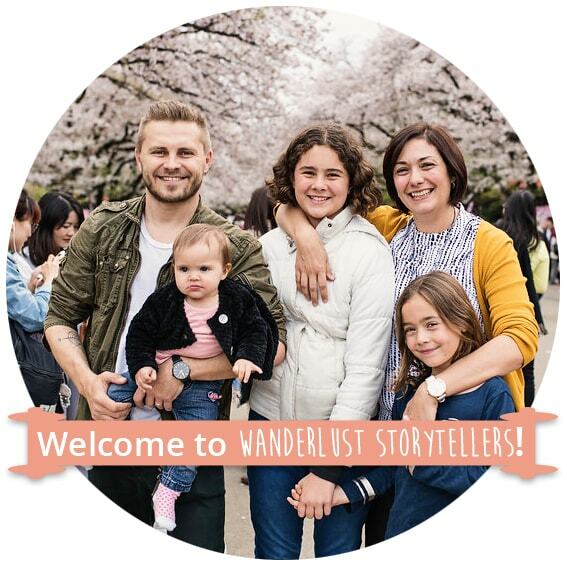 Packages are valid for stays until 20 December 2018. 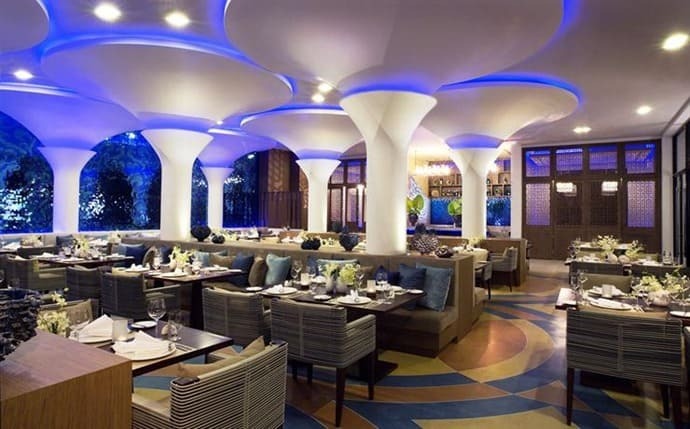 The 5 star hotel boasts of two restaurants that serve exquisite dishes from all over the world. If you are looking to sample the best wine as you unwind the long day, you can visit the rooftop bar. The hotel offers free Wi-Fi to guests who want to enjoy fast internet access. Avista Hideaway has a minigolf course and a golf simulator, including a kid’s club and a game room that will keep you entertained throughout the day. If you are looking to get pampered, you can visit the spa where their friendly specialists will make you feel relaxed and re-energized. 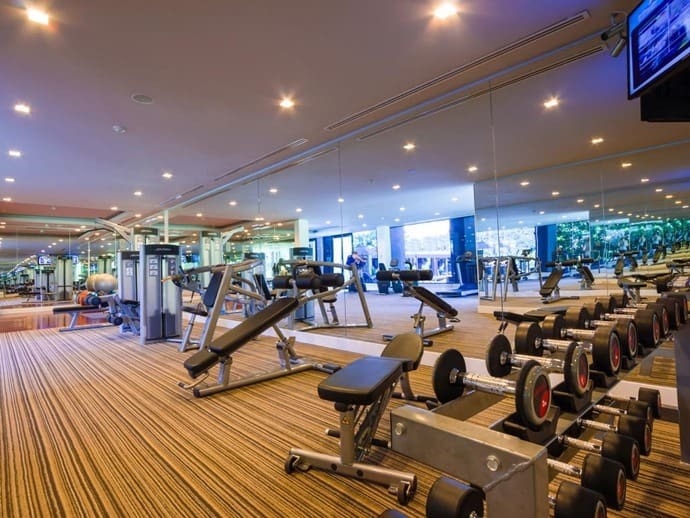 For those who want to keep fit, Avista Hideaway Resort and Spa Phuket has a well equipped fitness centre. From there, you can retreat to the luxurious room to get a hot shower in a spacious bathroom before retiring to a king size bed. 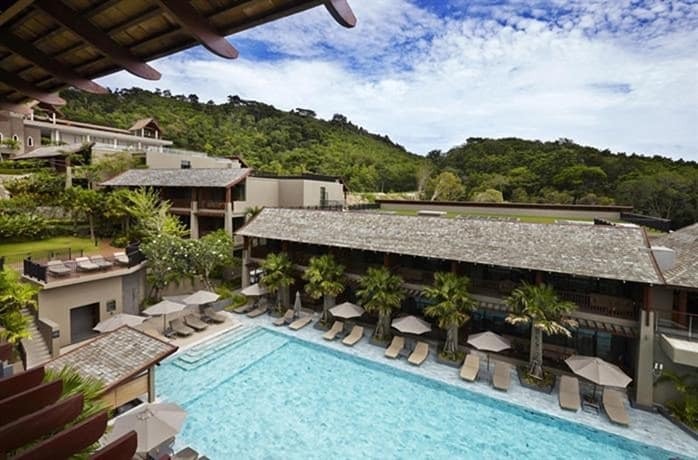 Avista Hideaway Resort and Spa Phuket is a five star hotel located on the Patong hilltop in south-western region of Phuket. 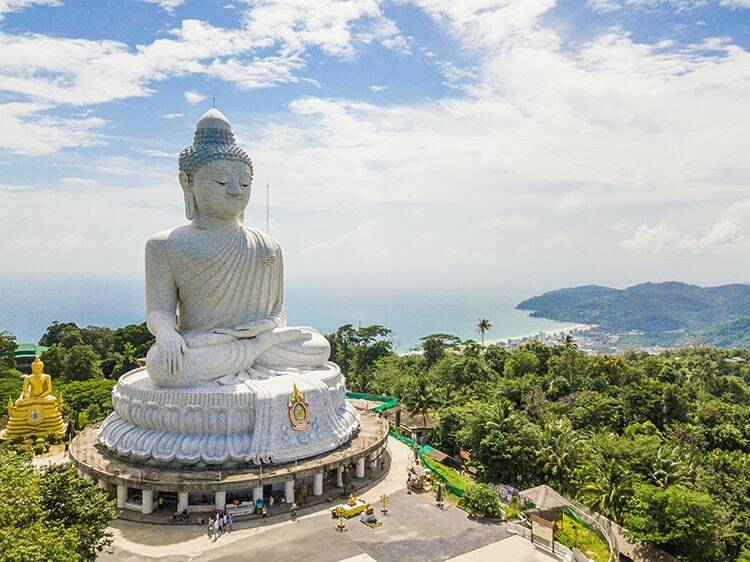 Phuket is the largest island in Thailand and is renowned for the giant Buddha that measures 45 metres tall. 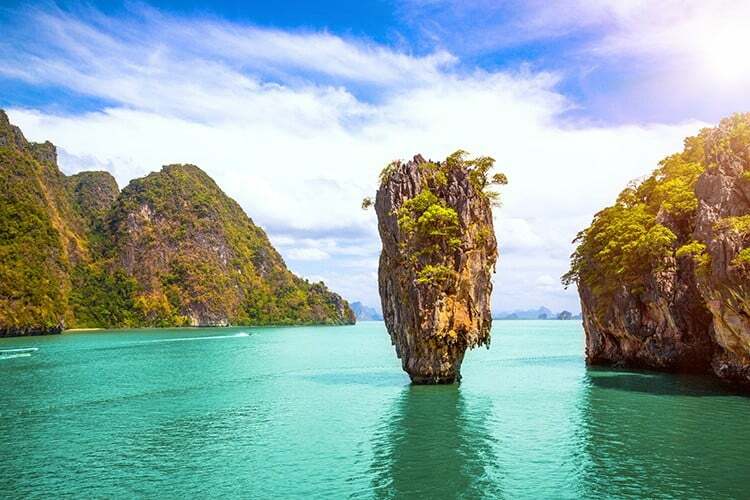 For tourists and travellers visiting the island of Phuket, there are so many things to do and see. If you are looking for nocturnal fun, Phuket has a bustling nightlife. From sizzling nightclubs to restaurants and street shows, Phuket has everything to awake all your senses even during the night. But there is more than just street performance, clubs and bars. 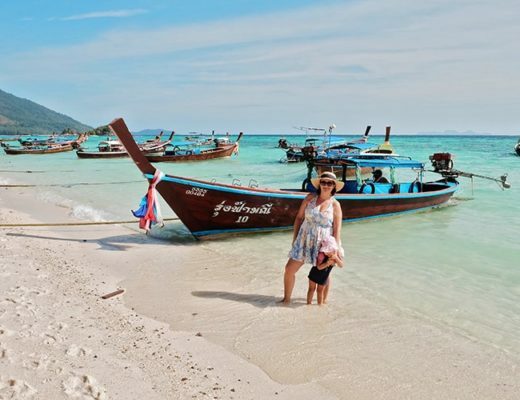 Phuket island is a tropical paradise with amazing sandy beaches, magnificent shopping streets and lots of fun options for couples and families alike. If you like you can also venture out on a day trip to some of the most amazing islands surrounding Phuket for an unforgettable adventure! After your adventures in the island you could spend a night or two at the luxurious Avista Hideaway hotel. If you are looking for magical moments that you will cherish forever, then Avista Hideaway is the place to be. It is here where the sea, stars and the sun all come together to bring that paradise memories into life. If you have been planning for that perfect honeymoon, Avista Hideaway offers that luxury and romantic experience that you will never forget. Treat yourself with wonderful culinary at the restaurants and bars. Discover why guests travel all over the world to experience Thai food that is served in this award winning restaurant. During nightfall, you can sip cocktail at the rooftop bar and enjoy the stunning surrounding landscape. 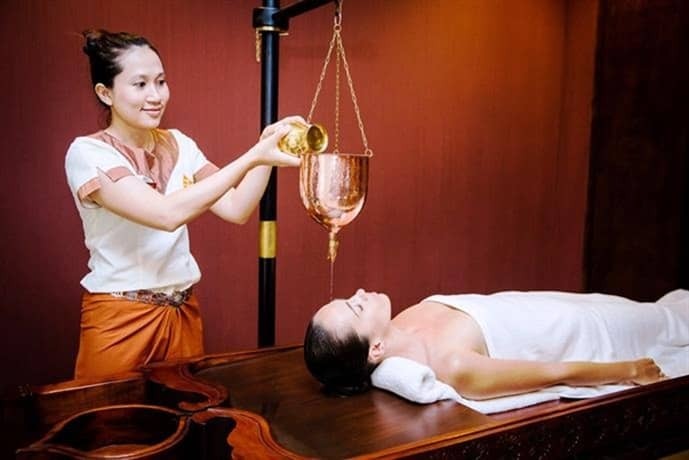 You can indulge in pampering at the spa or train your body in the fitness centre. Avista Hideaway has a unique aqua spa that will melt your stress away as the massage and beauty therapists make you feel relaxed and rejuvenated. If spa and fitness is not your thing, you can take a plunge in one of the three amazing swimming pools. Beneath the pool, you will find a glassy surface that reflects the beautiful colour of the sky. The moment you walk into the rooms you will realize that this hotel is family friendly. You can choose to stay at the superior room with 2 double beds, where Thai design and superb natural hues will make you feel at home. Or you can book the executive suite that comes with one king size bed and a private pool. This luxury hotel provides guests with eye masks, pillows, lotions and advice so that you can have that blissful night’s sleep. If you don’t feel like going outside, you can take advantage of the 24 hours room service. You will have exquisite hot dishes delivered to your room by attentive staff. Avista Hideaway is the best luxury hotel to stay in Phuket thanks to its amazing spa and fitness centres, mouth-watering dishes, luxurious and comfortable rooms or suite, meeting and banquets and so much more. This hotel is ideal for guests who want to embrace the very best of Phuket and make the most of their stay in the beautiful island. Avista Hideaway hotel is perfect for families and couples who are looking for an ambience location to have a blissful night of sleep, friendly and accommodating staff and exceptional customer service. Wondering how to stay here at a hugely discounted price? 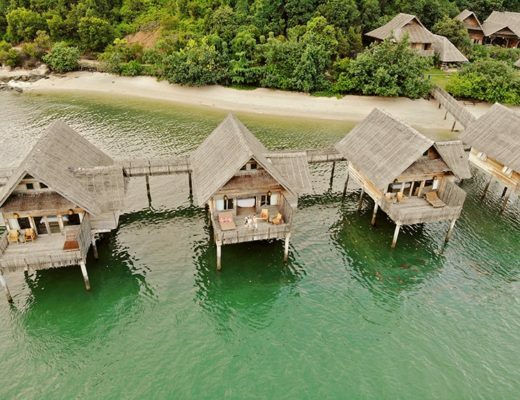 One of Luxury Escapes’ bestselling Thailand offers is back, with exclusive packages perfect for couples and small families. 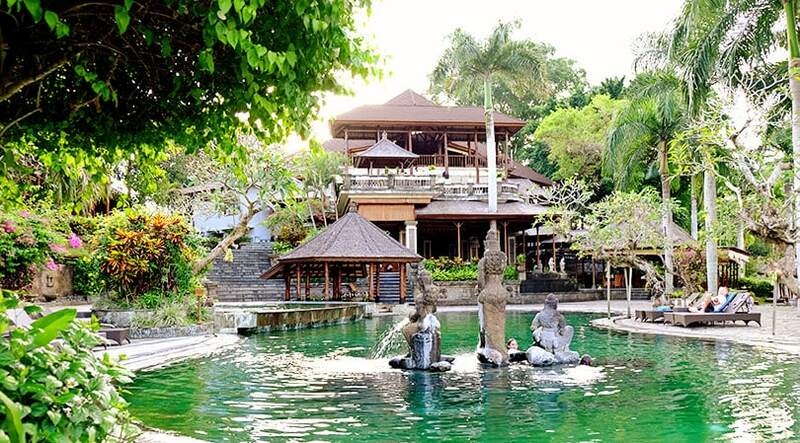 Packages include 6 nights in a Exclusive tropical forest room at Avista Hideaway Resort & Spa and enjoy daily buffet breakfasts, a multi course dinner, six 60 min spa signature massage, great discounts at restaurants and bars, return airport transfers and more. Upgrades and extended stay options are available as well. You can buy now and book later (packages are valid for stays until 20 December 2018), though be quick, this deal ends 7th November 2017. Does this look like the resort that you would enjoy staying at? * Disclaimer: This post was written in collaboration with Luxury Escapes. All opinions about the hotel are our own.